This nice holiday home consists of 6 mini-apartments, all with a cosy design and pleasant ambience. 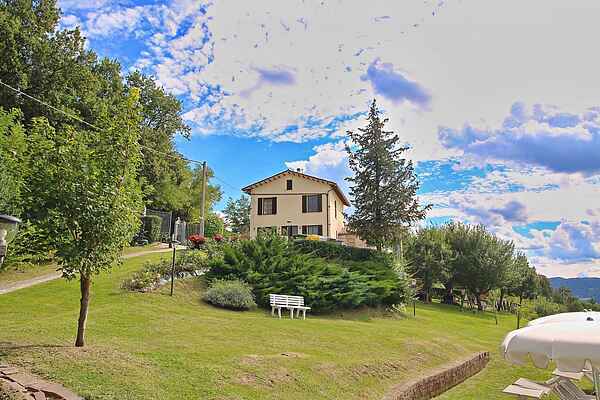 The holiday home is located in Piticchio, a picturesque little village where you can enjoy the good life, absolute relaxation and one-of-a-kind views. The surrounding landscape is magnificent in its abundance of natural beauty. With the rugged Apennine Mountains on one side, the Adriatic Sea on the other and gently rolling chains of hills with brilliant views in between, this is one of the most varied landscapes. The borgo Piticchio is a few hundred metres from the holiday home. Since the streets in Piticchio are practically free from traffic, children are able to play outside easily and safely. For those who wish to discover the characteristic local cuisine, there are many restaurants and agriturismo's in the immediate vicinity of Piticchio and Arcevia where you can spend a pleasant evening wining and dining.